During my divorce, can my spouse take the children out of the country without my consent? Can I stop him/her? In our extensive experience, divorced or separated parents become anxious for many reasons when one of them wants to take their children abroad. 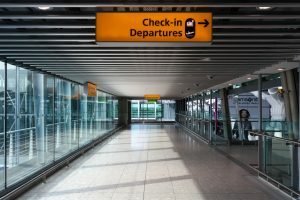 Our latest blog, which will also be featured in The Divorce Magazine, explains how there are only two circumstances in which your spouse can take them out of the country for up to 28 days without your permission.The first is if they have a Child Arrangements order (formally called a Residence Order) that a child “lives with” them, or if they secure a Court Order giving consent – a Specific Issue Order. The latter is applied for if your spouse does not have a Child Arrangements Order and thinks you are unreasonable in refusing permission. In these circumstances, the Court is asked to resolve a matter by considering the facts of each case, and determining whether the child should be allowed to travel. For an application to be successful the applicant should provide details of the proposed holiday – where they will be staying, with whom, for how long etc. The parent remaining at home may also need assurances that their spouse will return the child’s passport after the holiday and call them regularly while they are away. Examples of when the court may not approve a holiday would be if they are travelling to a dangerous part of the world, or if the child may be at risk due to medical reasons. Generally, the Courts take the view that a holiday is in the child’s best interests unless there is good reason otherwise. The Court will make its decision based on what is in the child’s best interests. In the majority of cases an order will be granted if the child is keen to go on the break and will benefit from it – and providing your ex promises to bring them back when the holiday is over. Courts are more wary if your spouse plans to take your child to countries that are not a signatory of the Hague Convention on International child abduction. They include Afghanistan, Egypt, Iraq, Saudi Arabia, Zimbabwe, India and Iran. If you have major concerns, you can also apply to the Court for a Prohibited Steps Order which prevents either of you taking the children outside the country without the permission of the other parent. Parents who object to their children going abroad are often pressurised by their ex to give their approval. If you find yourself in this positon then you should seek legal advice on the legality of the travel. A practical tip would be to keep hold of your child’s passport until you have the details of the holiday and are satisfied that it is safe to travel. The severe psychological impact on children who have been abducted can be devastating and long lasting. If in doubt, seek legal advice immediately.